Note: This product is out of production. 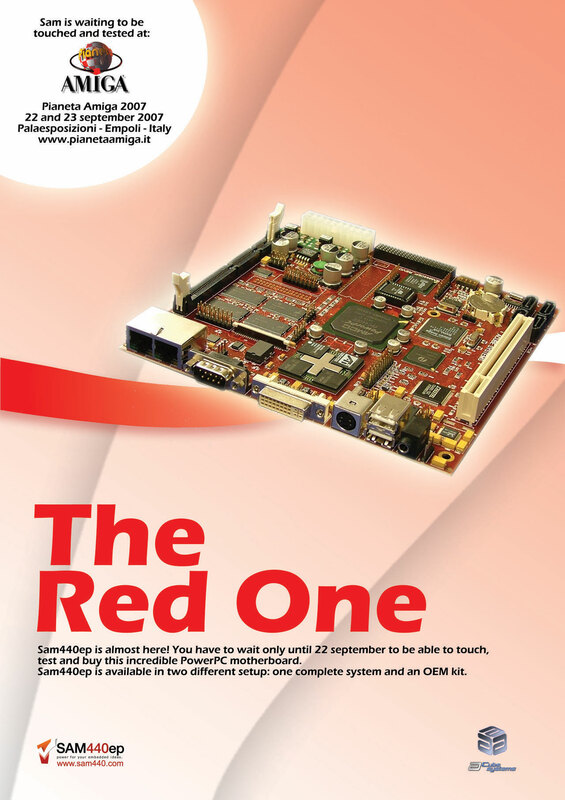 Sam440ep is a PowerPC modular motherboard engineered and produced by ACube Systems and it is totally made in Italy. 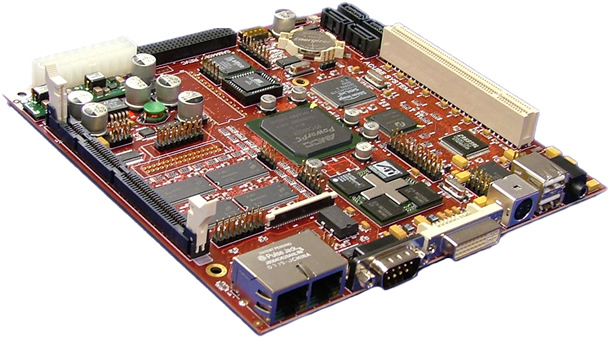 The core of the board is the PowerPC 440EP, a System On Chip (SoC) produced by Applied Micro under license from IBM. 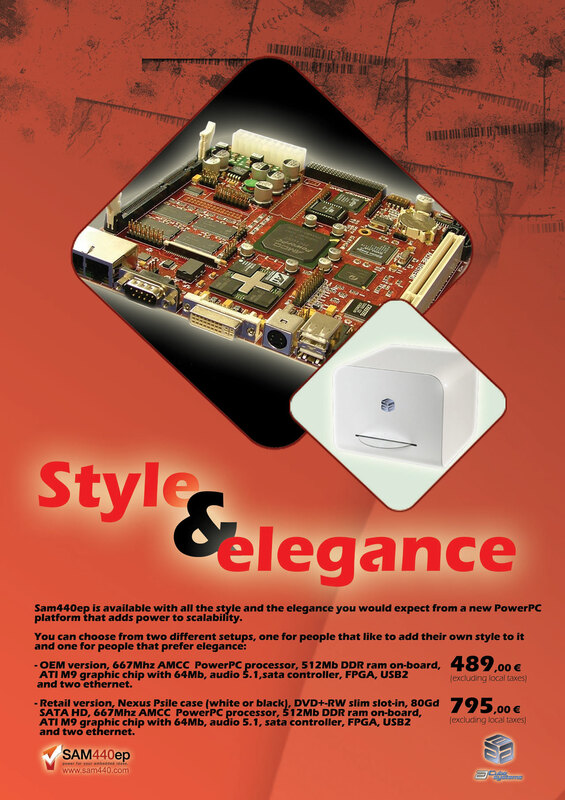 One of the main features of the Applied Micro PowerPC 440EP is the presence, together with the CPU, of a number of integrated peripherals. This allowed us to build a complete system with a huge savings of both development and debug time, with less components and space used on the PCB. This also results in a significant cost reduction for the customer. As a consequence the northbridge/southbridge combination is not present on the board. Part of their functionalities are built into the CPU. The 440EP chip has a size of 35x35 mm, with a PBGA packaging (456 balls). 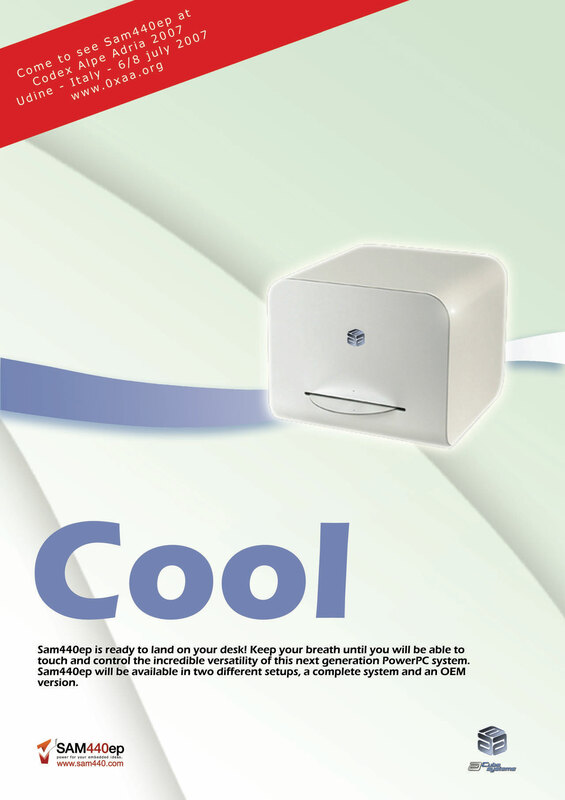 It is built with CMOS (0.13 um) technology, has a very low power consumption (only 3 Watts at 533Mhz) and it does not require any active cooling system. Together with a board you must purchase a copy of AmigaOS 4.1 for Sam440ep. All prices excluding local taxes and shipping costs from Italy. For European countries, Italian VAT (21%) is applied. We strongly suggest to use only DIMM 100, DDR400, 512 Mb 32 bits modules with Nanya chips. Note that Sam does not need any additional graphics card.